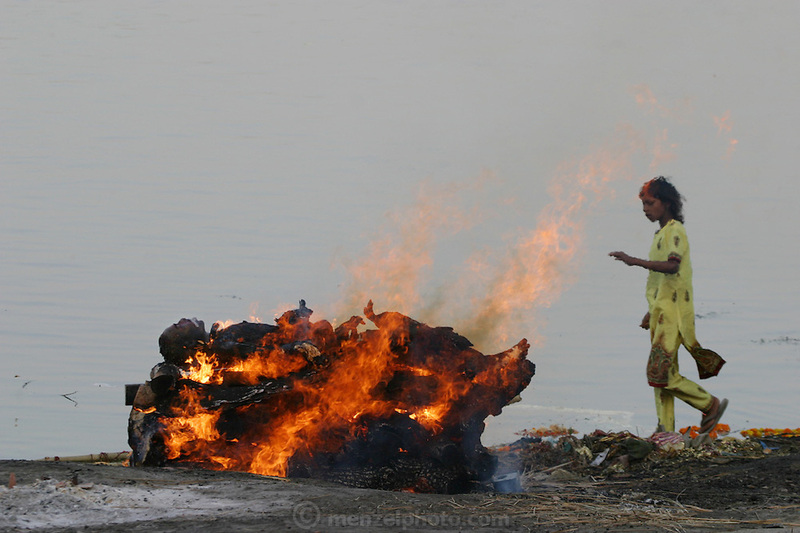 A young girl picks her way along the shoreline as a body burns at the Harishchandra cremation grounds. Just up river a man dries the clothes he just washed in the Ganges in the heat of a burning funeral pyre. The Harishchandra Ghat (also known as the Harish Chandra Ghat) is the smaller and more ancient of the two primary cremation grounds in Varanasi, on the banks of the Ganges River.